Blog Do Not Settle for Less! Do not compromise, says the LORD. I do not want you to settle for less than I have promised you. Do not give up, and do not give in! For greater things are coming for those who wait on Me. I Am the creator of all things, and I have not ceased to create. I Am still planning. I Am still speaking. I Am still decreeing things over your life that are excellent and wonderful. Expect the things I promised to happen, and do not listen to the enemy that is telling you that you somehow missed it, messed it up, or nullified My promises, says the LORD. For why would I promise you something, and never fulfill it? I was not teasing you, baiting you, or playing games with you. What I say, I will DO! I Am not looking for a reason to abort My purposes and plans for you. I will fulfill My good Word and My good Work, for I cannot lie, and I do not change My mind. I have only good plans, and good things in store for you, as you wait on Me. Expect that you will embrace all that I have promised, for NONE of MY WORDS will fall to the ground. 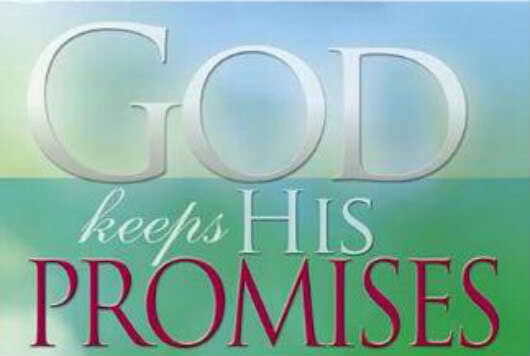 I will fulfill them, and I will complete you, and you will KNOW that there will be NO breach of promise, says the LORD. 22 Responses to Do Not Settle for Less! Amen. Hallelujah!!! Thank you Lord Jesus!